Hi y'all! I'm currently enjoying Christmas break (ah, the perks of being a teacher!) and catching up on some good books. 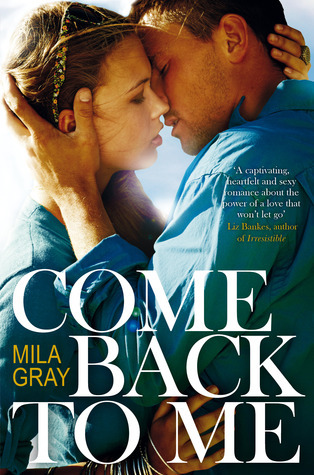 Today I wanted to chat about my latest read, Come Back to Me by Mila Gray. I had never heard of this author or this book until I stumbled upon it on Goodreads. I usually never pay attention to the books they recommend to the side after you submit a book you've read, but for some reason this one caught my eye. When I read the description I knew it was one I had to read, so I immediately called my bookstore and luckily, they had one copy left. Y'all, this book! Obviously, I thought it would be good since I bought it, but I didn't expect it to be as good as it was. I was expecting a light hearted, coming of age YA book that I would enjoy, but probably forget about in a few weeks. This book was more than that! The writing was great, they characters were fully developed and interesting. I LOVED it! I guess I'm getting ahead of myself. Maybe I should tell you what it's about. The main character, Jessa, has always had a crush on her brother's best friend, but it isn't reciprocated until he (Kit) returns from Afghanistan along with Jessa's brother, Riley. Jessa is about to graduate high school and Kit is home for 4 weeks until he and Riley leave out again. Jessa and Kit begin dating in secret so her brother and dad (who is very strict and doesn't like Kit) won't find out. At the beginning of the book, Kit's father arrives at Jessa's house and Jessa knows he's delivering bad news. Either her brother or Kit has been killed. The reader finds out which character that is as the book goes on. The setting is over a time span of 5 years; the majority of which take place the first month of Kit and Jessa's relationship, but the story progresses through Kit's second trip overseas. Likes: I adored Kit! I also loved that the story alternated between Kit's point of view and Jessa's POV. Dislikes: Even though the epilogue jumped forward 5 years, I still had questions about the characters. I won't say more since that would be giving away who died, but I have questions! Read if you're in the mood for: a quick, light YA/NA read with a wonderful, sweet, amazing romance! Mila Gray has written another book that features Jessa's best friend Didi. It's called This is One Moment. Y'all know I've already got it ordered! 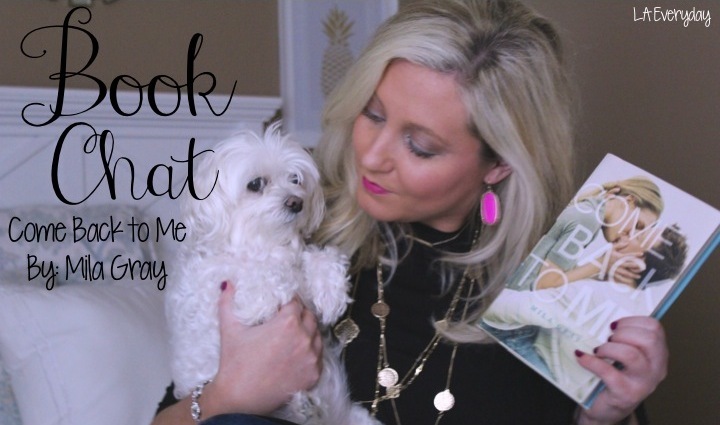 Follow me on Goodreads to see what I'm reading next!